Offering you a complete choice of products which include double jacketed kettle, cooking machine, shaker machine, grader, flour kneading machine and banana slicer. 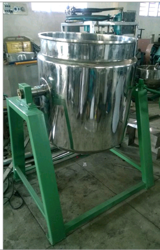 We are one of the leading manufacturers & suppliers of Double Jacketed Kettle. 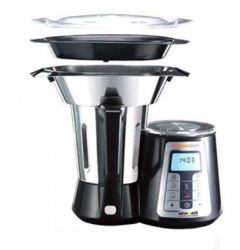 We are one of the leading manufacturers & suppliers of Cooking Machine. We are one of the leading manufacturers & suppliers of Shaker Machine. Backed with rich experience and knowledge in this sector, we are considered to be one of the most professional manufacturers and exporters of Grader. 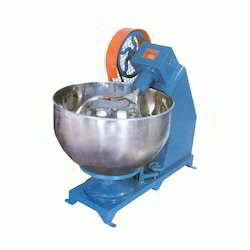 Being a client-oriented organization, we have been engaged in manufacturing, supplying and exporting of an exemplary array of Flour Kneading Machines. 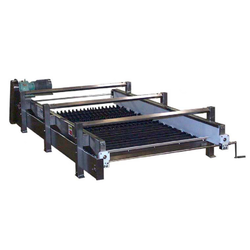 These machines cover less space owing to their compact design. For this, the motor is placed inside the body of these machines. 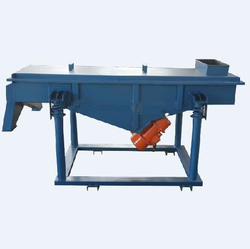 Owing to their excellent functionality, these machines can process small amount of flour. Offered products are tested on various quality parameters under the supervision of our diligent professional. We are one of the leading manufacturers & suppliers of Banana Slicer.